Indian Bank Notes – Catalogue of Indian Bank Notes showcasing paper currency issued by early banks, British Government and Reserve Bank of India. 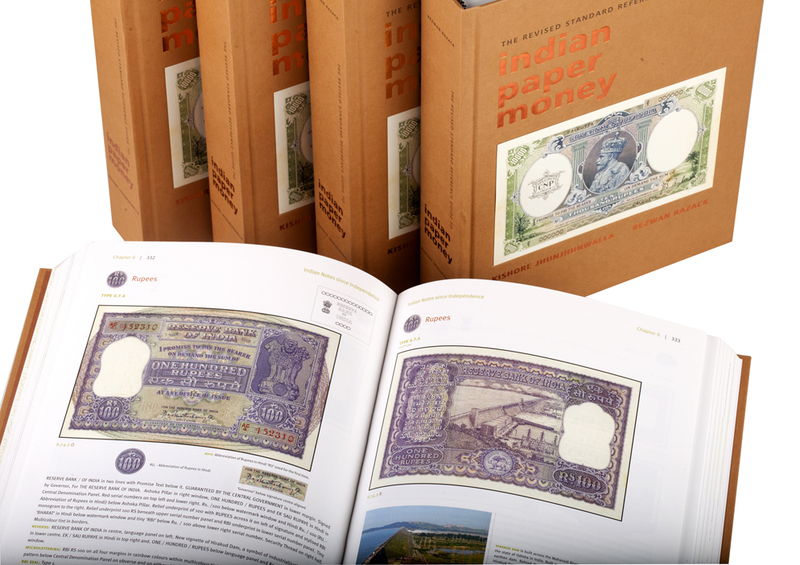 Online portal for numismatic research on Indian paper money and promotion of notaphily – bank note collection. Best reference source for Indian Paper Money! The information in this website will support research and education in numismatics. This will benefit all academic specialists, serious collectors, professional numismatists, curators, librarians, auction houses and interested public. This website will help popularize banknote collection as a hobby with focus on numismatics as a sole subject, paper money or notaphily being the essence. 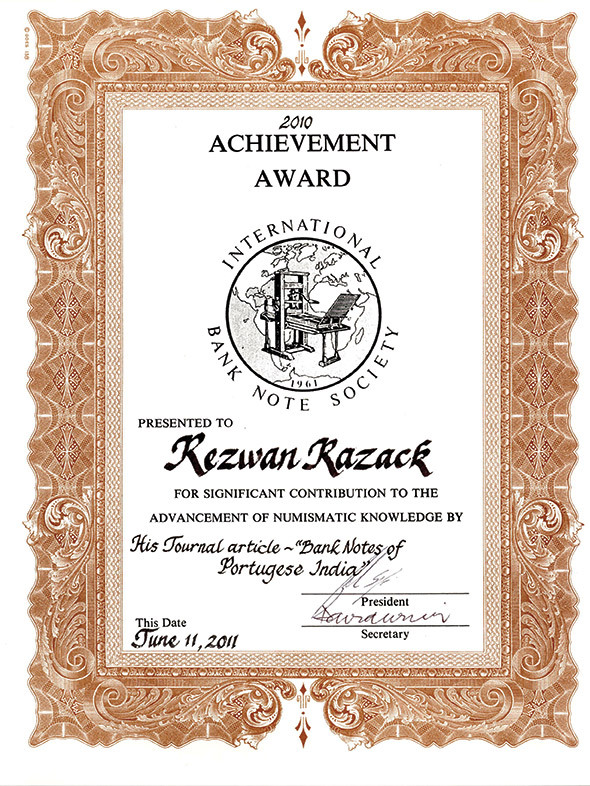 IBNS Achievement Award 2010 presented to Mr. Rezwan Razack! Thank you so much for sending Heritage Auctions a copy of your new book. We have a major auction coming up in the next two months, so the book was most welcomed among our staff. 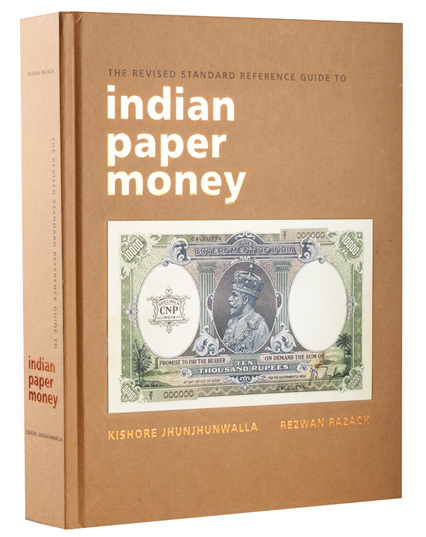 We have been using the earlier edition for several years.We can see your admiration for Indian paper money in the superb book that you have published. It is a monumental effort and you are very much to be commended on it.. 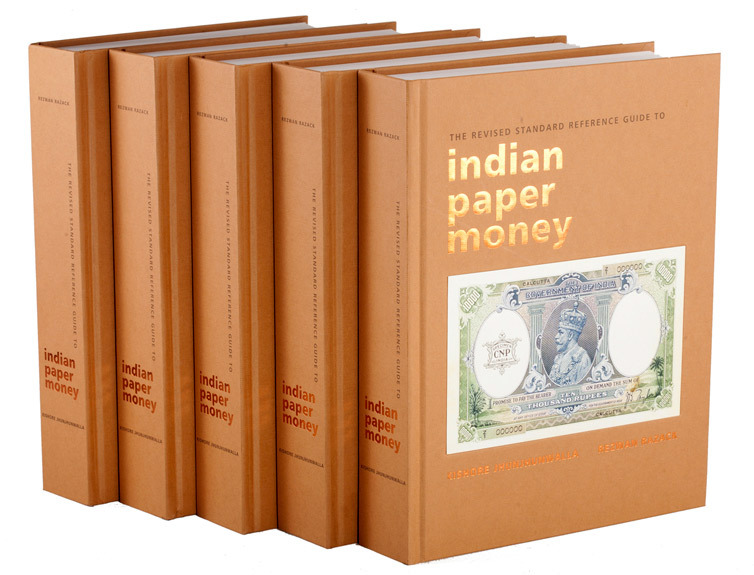 Please accept my thanks for sending me your superb publication, it is without doubt the finest book on banknotes that has ever been published, we shall be using your references when ever we have Indian notes in our catalogue.. I am privileged and honoured by your kind gesture to present me with a personally autographed Encyclopedia –“The revised Standard Reference Guide to Indian Paper Money”. Your painstaking thesis on this subject is surely a wealth of information and I will not be surprised if you are inundated by accolades and laurels in the near future. This monumental work is a prestigious one, in keeping with the flagship “Prestige Group” which you steer with stellar leadership. Congratulations once again, Sir. With regards and best wishes..